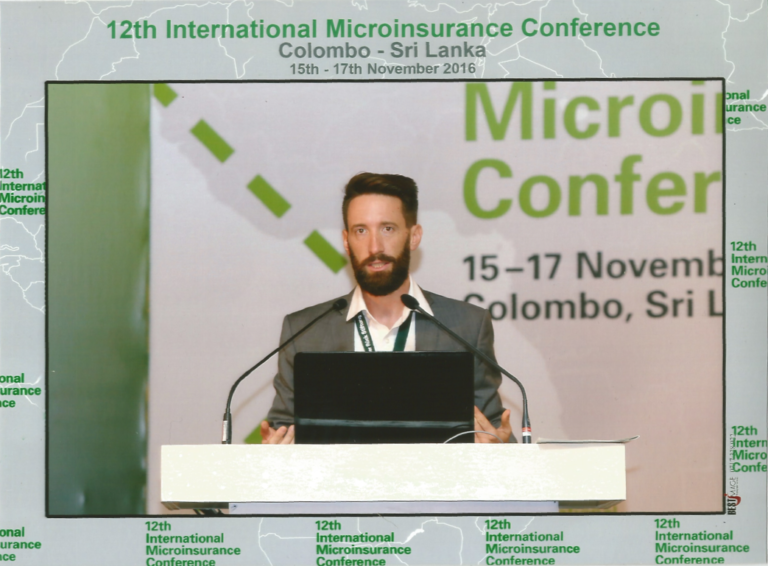 Colombo, Sri Lanka– BIMA credits its philosophy of putting customers at the heart of its business with its achievements in advancing insurance coverage in the region. BIMA recently shared its astounding progress and regional expansion plans in the Pacific at the 12th International Microinsurance Conference (IMC) in Sri Lanka that ran from 15 – 17 November 2016. Speaking to an audience of over delegate 400 participants and microinsurance experts from around the world on the theme of “Driving growth and sustainability – A business case for microinsurance”, Simon Schwall, BIMA’s Project Manager for the Pacific summarised BIMA’s culture of striving to deliver customer value, convenience and service in partnership with Digicel and Capital Insurance in Papua New Guinea (PNG) and latterly in Fiji. Michael Carr, Regional Inclusive Insurance Specialist at the Pacific Financial Inclusion Programme (PFIP) commented: “PFIP is always looking to partner with companies and others to build or expand markets and bring suitable financial products and services to those who are financially excluded. We are keen to catalyse the use of innovative technologies, distribution channels and business models.